Here we go with another reboot of Spider-Man. Everything is redone and recast, whether it is a good or bad thing. This version came out in 2012, about five years after Spier-Man 3 came out, and in many people’s eyes destroyed the franchise. 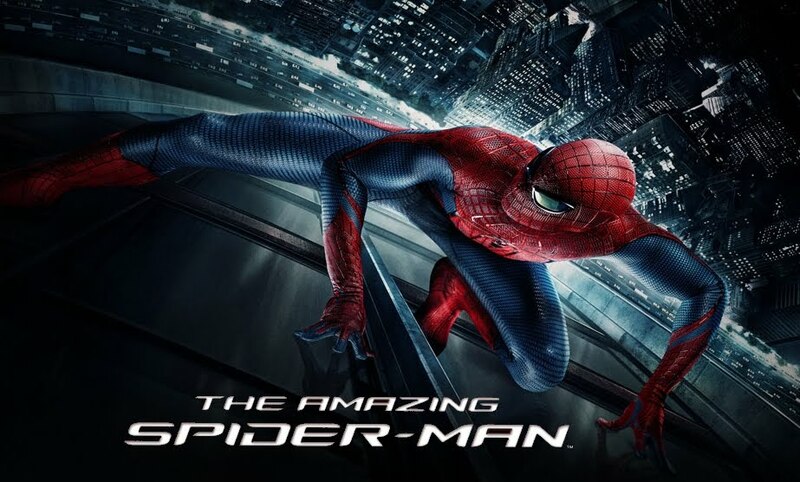 The future of the franchise was then put in jeopardy, after Tobey Maguire and Sam Raimi stated they had no desire to continue with more sequels, something that anyone can understand. Sony then decided to reboot the franchise. This version continues, with most of the bullet points of the origin of Spider-Man. But they put additional back-story inspired from aspects of the newer Ultimate Spider-Man comics. The plot starts with Peter Parker as a young boy taken by his parents to live with his uncle Ben and aunt May. His parents are leaving him, as they have to hide. This is all left as a mystery. We then jump to Peter in high school, and see him not being the most popular of kids, and having to deal with the school bully picking people, which in turn causes a fight that he loses. Stalks Gwen Stacy (his love interest) a little. Peter finds a brief case that belonged to his father, which contained a photo of his father and Dr Curt Conners (a scientist looking to re-grow his lost right arm). He later finds a hidden document with formulas in the brief case, which makes him more curious. This leads him to sneak into OSCORP tower and meet him. Once there he is discovered by Gwen, which just so happens to be Dr Conners intern. Once in the tower, Peter discovers a lab that contains a whole nest of spiders. Whilst looking in this lab, a spider crawls into his clothes and bites his neck. Gwen then finds him sneaking around and kicks him out of the building. The bite then gives him the powers to become Spider-Man, and spends time adapting to them, even building web shooters (which is really cool!). Even going as far to embarrass the school bully that beat him up from before. Peter also visits Dr Conners at his home, and tells him that he is the son of Richard Parker. While talking, Conners tells him about a problem he is having and so Peter gives him a formula he found in his father’s documents. They start working on implementing it and on test subjects it appears to work. Peter though forgets about picking up his aunt and this leads to argument with his uncle Ben. This leads to the death of uncle Ben, by a convenience store robber that Peter could have stopped just before hand. This leads to Peter using his powers to try and find his uncle’s killer. This leads him to work on his suit and leads to him to become Spider-Man, with Gwen’s father as the Police captain constantly chasing him as a vigilante. OSCORP executives have closed Conners down for not moving fast enough to help cure the owner of the company, Norman Osborne. Fearing that he will be losing his only chance to re-grow his arm, Conners takes the serum he has developed and transforms him into the Lizard. This leads to confrontations between Spider-Man and the Lizard. Peter also realises that he has to help the public rather than just look for his uncle’s killer. Peter tells Gwen that he is Spider-Man and they start falling in love. The Lizard eventually plans to send the serum into an airborne cloud around New York. When Spider-Man realises this, he gets Gwen to make an antidote at OSCORP until he realises that’s where the Lizard is heading. Spider-Man then stops him, after being captured by Captain Stacy and explains his daughter is in danger. He lets Spider-Man go, and also heads to the tower himself. Both Gwen’s father and Spider-Man stop the Lizard from sending out serum, and send the antidote to cure Conners and all those he has infected. However the Lizard kills Captain Stacy during this confrontation. Well was this film any good? I would say mostly it is. It is an entertaining version with good acting and enjoyable characters. Its main problem is that it was made only ten years after the Sam Raimi version and although it has reworked some ideas, there is not enough different to warrant a remake. This is more of the same thing, just told ever so slightly different. The origin is more or less the same thing that happened in Raimi’s version, although they omitted the wrestling part. Another issue is that it is just too damn long. The reason of this was that it had to cram in so many plot points. You feel like they are building this large intricate story, with all this suspicion around Peter’s parents and the shadowy sinister guy at the end questioning Conners about what he told Peter about his father. Andrew Garfield I thought was very entertaining as Peter Parker, may not been as believable as the outcast geek at the very beginning, but all credit to the film the change to Spider-Man happens very quickly. I did like the quips and jokes that Spider-Man makes as he fights the Lizard and capture criminals, this is the way I had always remembered the character from the cartoons I watched as a kid. I loved Emma Stone as Gwen Stacy. She seems like a very strong character and she has fantastic chemistry with Garfield, so much that they started dating after the film was wrapped. This is shown even more in the sequel. The other actors are serviceable in their roles; nothing I would say was startling though. None if them really stick out in my mind in what they were trying to do. In fact Garfield and Stone are the best aspects of this film and what makes it watchable. Without them it would have been a very boring, uninteresting and cheesy film. Although the Stan Lee cameo is quite funny this time around. All in all, it’s not a bad version; it was just made to soon after the last batch of films and had nothing really different to say. The people that would enjoy this film would be if you have never seen the 2002 original. Oh and the scene with Martin Sheen trying to say `with great power comes great responsibility` in a different way is just so painful to watch!